If Portland State really is going to have any chance to win the Big Sky, they are going to need Lateef McMullan to come in and be a solid contributor right away. 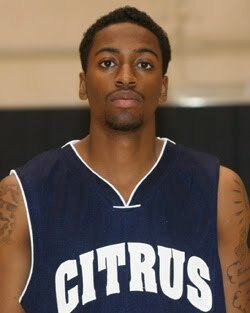 McMullan is a JUCO PG, coming to the Vikings from Tulsa, OK, with stops at two different colleges along the ay (most recently Citrus Junior College in CA, and his freshman year at UC Riverside). Last season he averaged 16.3 PPG, 3.0 RPG, and 4.2 APG. "Lateef is extremely quick with the basketball and can get from free throw line to free throw line in a hurry," said Geving. "That's what we need with the style we like to play. He makes good decisions, can break people down off the dribble, then score or make plays for his teammates. Lateef has a great understanding of the game and I expect big things from him." He also brings an outside shooting element to the Vikings, as he made 94 3-pointers last year after shooting 41% his freshman year at UC Riverside. His quickness with the ball and ability to find the open man will fit perfectly in Tyler Geving's system, as the Vikings were the fastest team in the Big Sky last season. Talented guard who has a floater, speed and a tough mentality. At his size he's got to be a knock-down shooter. Likes to score and has a few different shots in his bag of tricks. Lateef will be a lot of fun to watch next season, that we know. His speed in getting up and down the court will make him a crowd pleaser. If he can properly distribute the ball to the talented guys the Vikings have, as well as knock down some open shots, Portland State could become very dangerous in the Big Sky. Amazing!! Excited for the season !!! Go Viks!! !